Moose Juice is rich in caffeine (200mg in a can), a carbonated energy drink with intensely berry flavor without sugar and without aspartame, enriched with BCAA amino acids. 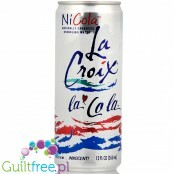 Low calorie energy drink - the whole can is only 15kcal. Net volume 500ml. ; 1,31 pln/100ml. 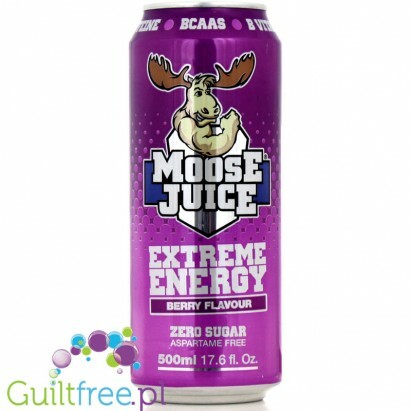 A low-calorie Moose Juice or energy-packed berry drink enriched with BCAA, B vitamins and caffeine. Little calories, no fat, no sugar - meet your new companion who will help you in times of fatigue. If you need a kick, you feel that you are eager - reach for Moose Juice! Ingredients: carbonated water, D-glucuronolactone; BCAA 2: 1: 1 (Leucine, Isoleuzin, Valina), taurine, caffeine anhydrate, L-tyrosine, L-carnitine tartrate, pyridoxine hydrochloride (vitamin B6), nicotinic acid amide (vitamin B3), choline bitartrate, cyanocobalamin (vitamin B12) ), folic acid, aromas, acidity regulator malic acid, citric acid preservative, sweeteners sucralose and acesulfame potassium. 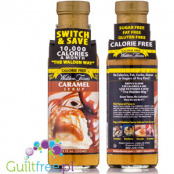 High caffeine content - not recommended for children and pregnant women and people sensitive to caffeine (40mg / 100ml, 100mg in the recommended daily intake (500ml) Do not consume more than 1 can per day. * RWS: daily reference intake. Reference intake value for an average adult (8400 kJ / 2000 kcal). ** Long-term consumption of vitamin B6 in an amount> 10mg per day may lead to numbness or tingling of the feet or hands. Storage conditions: store in a dry place in a tightly closed container. Keep out of reach of small children. Store at room temperature. Protect against moisture, light and heat. Warning: Do not eat if you are allergic to any of the ingredients in the product. The product should not be consumed by pregnant women and nursing mothers. Do not exceed the recommended portion for consumption during the day! Dietary supplement can not be used as a substitute (replacement) of a varied diet. New taste: Green Apple! 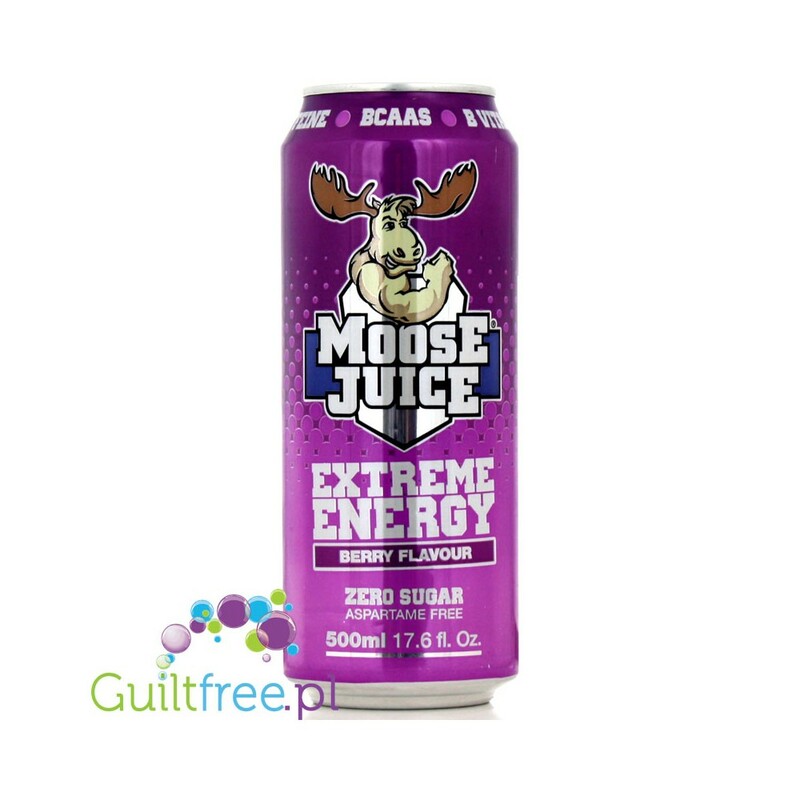 Moose Juice is a caffeine-rich (200mg in a can) fizzy energy drink with an intense flavor of green apple without sugar and without aspartame, enriched with BCAA amino acids. Low calorie energy drink - the whole can is only 15kcal. Looking for snacks less than 100kcal, which you will reach during the day? 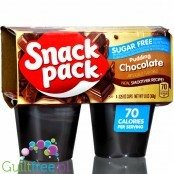 Reach the sugar-free SnackPack - one cup is only 70kcal. A delicious, creamy dessert is an excellent low calorie snack that will satisfy the mood of 'sweet'. MHP high protein chocolate pudding delivers as much as 30 grams of the highest quality protein. Delicious pudding is not only a sensational dessert, but first of all a valuable meal. The large 250g can delivers only 190kcal and the optimal ratio of nutrients guarantee a long satiety feeling. Sweetened with xylitol and stew lollipops Yum is a perfectly healthy, sweet snack+ satisfy the fancy for sweets,+ enjoy fruity taste,+ only 14kcal+ do not have any sugar! The exclusive PowerCrunch protein bar is the perfect harmony of crunchy wafers drenched in delicious cookie yoghurt and covered with velvety vanilla glaze. Patented high-passive protein (up to 14g!) In the form of a crunchy low-sugar bar. 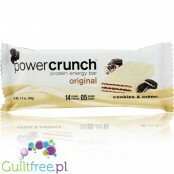 Unlike most protein bars, Power Crunch is not sweetened by artificial sweeteners but steep. 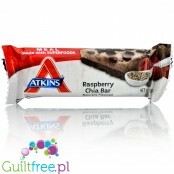 A solid protein bar in a sweet chocolate milk topping with raspberries and chia superfoods owes its flavor only to natural flavors and provides up to 16g of protein and 13g of fiber and only 2g of sugar. The optimally balanced proportions of macro-nutrient ingredients satisfy the hunger between meals and provide a long feeling of satiety. 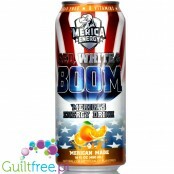 ‘Merica Labz has packed ‘Merica Energy with enough to give you a boost of energy and mental focus whenever you need it and awesome sugarfree Red White & Boom Energy Drinks offer you unrivalled taste, flavour, and boundless clean energy, distilled from the very blood, sweat and tears of true 'Merican heroes! 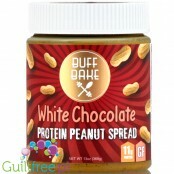 Peanut butter with white chocolate with roasted peanuts with high quality whey protein. Buffy peanut butter is a delicious, healthy and valuable addition to the diet of both highly trained and sedentary people. No cooking! For preparation with water or milk. Instant, easy-to-prepare caramel or toffee Protein Bodywash pudding contains 78% high quality protein, not starch, just like regular pudding. The rich bodybuilding bodybuilder BCAA is more than just a dessert, because the BCAA has a key role in the metabolism of proteins and energy.